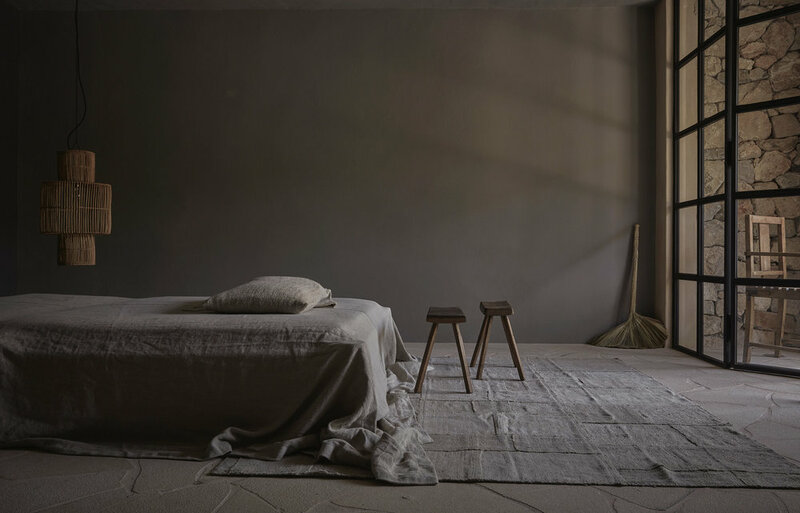 The bedrooms vary in size; each one is outfitted with a luxury bed and materials of burnt wood, brushed and oiled ash, wood, stone and slate. With 9 sq meters (excluding bathroom), our Intimate room sleeps two in a queen sized bed and features a private bathroom with a shower. It is the smallest room of the house, no terrace, but with the commodities to have a great experience in La Granja. It is ideal for those ones who want to stay with us for a short period of time, enjoy the pool and explore the island. Garden rooms have between 20 to 25 sq meters, boast a king-size bed and have a private garden with farm and sunset views. It may feature a fireplace. These three rooms are only accessible from the garden. With 55 sq meters, the Garden Suite boasts a king-size bed, a living area and a bathtub; it has its own 20 sq meters terrace in the garden. A single or double bed can be placed in the living. 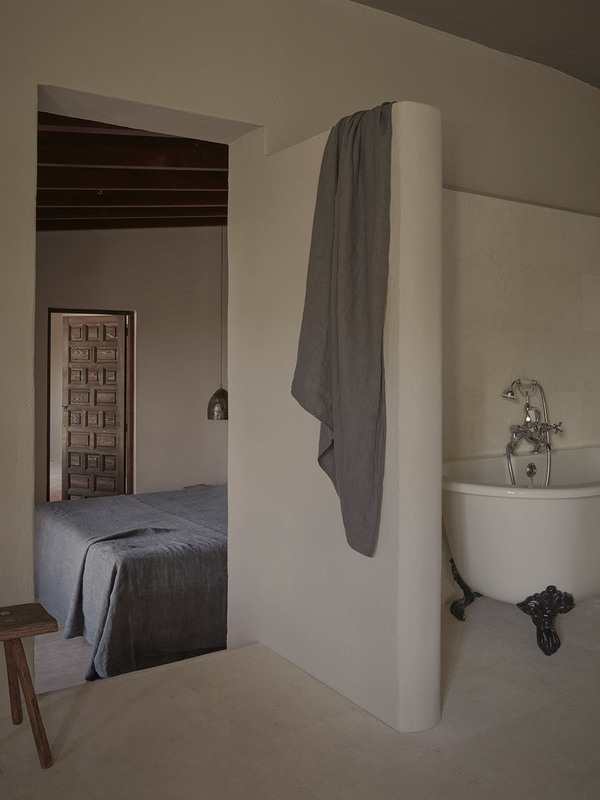 Between 35 and 45 sq meters, Terrace Suites boast a king-size bed, a bathtub and a private terrace overlooking the farm and pool area. It may feature a fireplace. With 75 sq meters, Master Suite is our largest suite, featuring a king-size bed, a bathtub in the living room and a private two-level 80 sq meters terrace with 360-degree views of the valley and the island. With about 55 sq meters, Tower Suite is located in the farmhouse’s tower, featuring a king size bed, a living area and a private two-level 70 sq meters terrace with 360-degree views of the island and Sant Antonio bay. Perfect for groups and families up to 5, the Guesthouse spans 75 sq meters in a building 50 meters from the farmhouse, surrounded by wild forest. 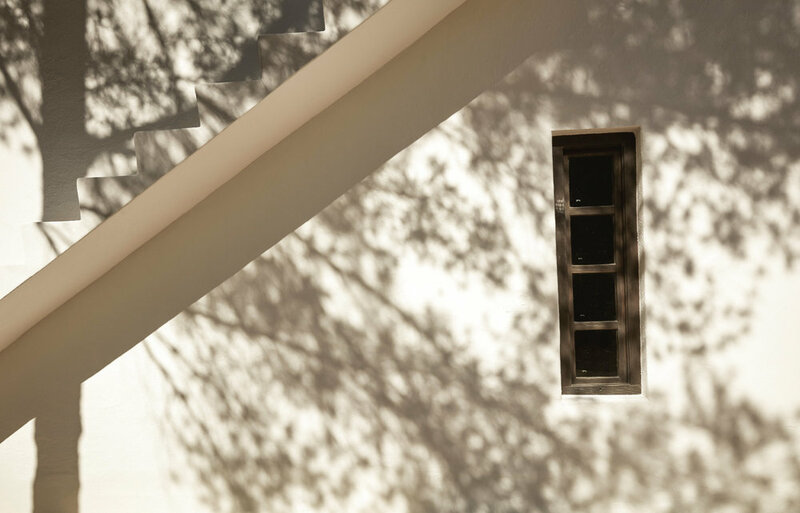 The Guesthouse comprises two bedrooms with a king-size bed, two bathrooms with a shower, a living room, and offers a wide private 30 sq meters Sunset view terrace overlooking the farm. An extra single bed can be placed in the living room.